My Green Goddess Dressing Recipe is a new take on an old favorite. A creamy, flavor packed homemade salad dressing made with fresh herbs, garlic and mayonnaise. It is a delicious make-ahead dressing that’s perfect for salads, as a Green Goddess Dip, on chicken and side dishes such as roasted potatoes. Green Goddess dressing was popular in the 70’s and 80’s. And, this recipe is a healthy version of the dressing as I remember it. Because I grow a lot of our own vegetables, I love having a variety of dressing recipes. After all, variety is the spice of life! Most homemade salad dressings are very easy to make and keep well. So, why not make several and offer the variety that keeps everyone happy and no one gets bored with the same ol’ same ol’! One thing I love about this recipe is that it also makes a delicious Green Goddess Dip. Often in the evening, since we have our largest meal at noon, we snack on fresh veggies at night – take it from me, this is deeelish! Is This Green Goddess Dressing Recipe Good For You? 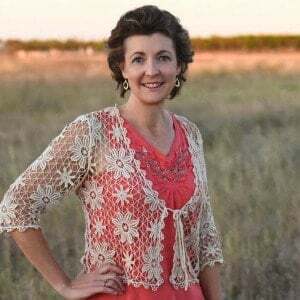 You probably know how I feel about probiotics by now – but, if not, let me tell you! Probiotics are beneficial bacteria for your gut health. Gut disbyosis is a common problem among our generation primarily because of the processed foods eaten. They affect the balance of the bacteria in our gut and it becomes out of whack – the “bad” bacteria become the main bacteria in the gut and this may cause not only physical problems but also psychological problems. Available from my affiliate partner, Gut and Psychology Syndrome by Dr. Natasha Campbell-McBride deals with gut disbyosis in detail and I highly recommend it! You can read the GAPS Diet Review for more info too. But, what does this have to do with Green Goddess Dressing? This dressing recipe not only tastes great but it has the added advantage of yogurt as an ingredient. Yogurt is a probiotic meaning that it contains beneficial bacteria which is good for your intestinal health. I love it when I can sneak probiotics into a meal without detection!! Who Invented Green Goddess Dressing? According to America Food Roots, Green Goddess Dressing was invented by San Francisco Palace Hotel’s Chef Philip Roemer. Can This Recipe Be Used as a Green Goddess Dip? Absolutely! 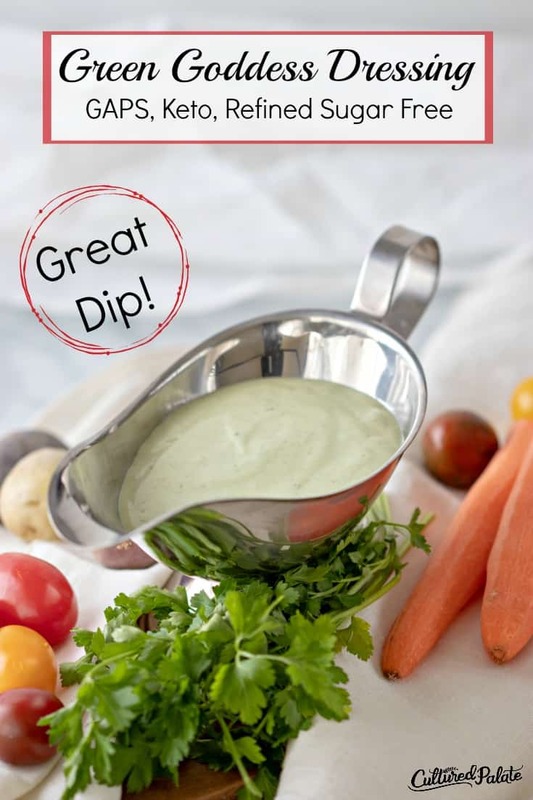 My Green Goddess Dressing Recipe makes a delicious Green Goddess Dip. As you can see from the suggestions below, a Green Goddess Dip is great for vegetables (cooked or raw) French fries and much more. While this recipe makes a delicious salad dressing, don’t be limited by that! Remember, the sky is the limit when it comes to creativity and this makes a wonderful Green Goddess Dip. Can This Salad Dressing Be Used Immediately? Yes but, if you make it ahead and refrigerate it, the flavors of the ingredients have time to meld and enhance each other. Is This Like the Green Goddess Dressing Panera Serves? This Green Goddess Dressing recipe is very similar to the one Panera serves. However, Panera also adds tarragon, watercress and champagne vinegar. I have chosen to use ingredients that I have on hand and if you use raw apple cider vinegar, you are getting another form of probiotics along with the yogurt which makes this a healthy Green Goddess Dressing! Is This Like the Green Goddess from Ina Garden? This dressing is similar to the Ina Garden Green Goddess but as with the Panera dressing, there are other ingredients (anchovy paste) that I have chosen to leave out. I have also added probiotics with the yogurt and apple cider vinegar (when using raw) to make a healthy Green Goddess dressing. Can This Recipe Be Made a Vegan Green Goddess Dressing? Because of the mayonnaise which has egg in it and the yogurt which is dairy, as written, this is not a vegan recipe. For a vegan Green Goddess Recipe, see below. To make a vegan Green Goddess Dressing also known as Avocado Green Goddess Dressing, leave out the mayonnaise and yogurt. Replace them with 2 avocados and along with the other ingredients, 1/4 c. olive oil, 2 Tbsp lemon juice and water a teaspoon at a time to get the right consistency. If you’ve tried this Green Goddess Dressing Recipe or any other recipe on Cultured Palate please take a minute to rate the recipe and leave a comment letting me know how you liked it. I love hearing from you! You can also FOLLOW ME on PINTEREST, FACEBOOK, INSTAGRAM, YouTube and TWITTER. Move over store-bought dressings, you have met your match with this creamy but easy dressing. And, don't forget - it makes a wonderful dip! Blend all the ingredients together except the mayonnaise using a food processor, immersion blender or blender. Add the mayonnaise and blend well. Be sure to make Green Goddess Dressing Recipe ahead and refrigerate it so the ingredients meld their flavors. This Green Goddess Dressing Recipe not only tastes great but it has the added advantage of yogurt (a probiotic) as an ingredient. 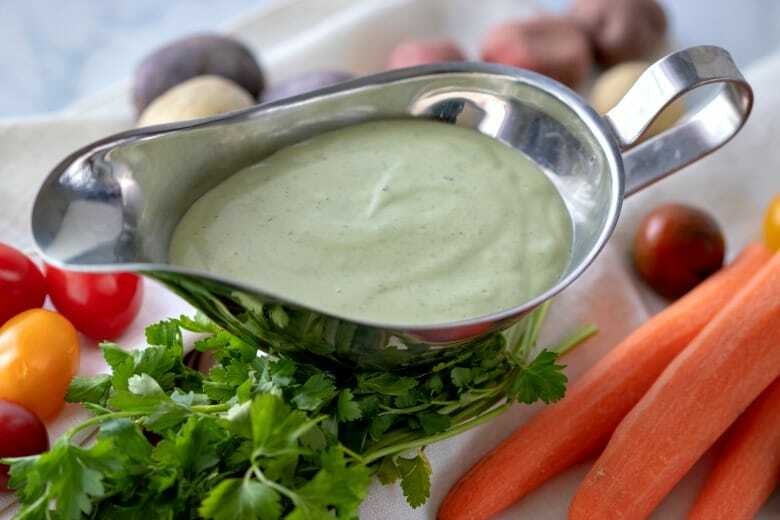 What is Your Favorite Way to Enjoy Green Goddess Dressing – As a Salad Dressing or as a Dip? Sounds delish and the picture is gorgeous. Im not a big dairy consumer, but every once i a while I really enjoy a yogurt/mayo dressing. I’ll have to try yours soon. This looks really good! I just started adding in a very small amount of yogurt into my diet (I’ve been working on healing a dairy intolerance). I’ll definitely be giving this a try once I’ve increased my yogurt consumption a bit more. Thanks for sharing this at Fill Those Jars Friday! I make a similar dressing, using dill instead of parsley and lemon juice instead of vinegar. yo-mayo makes such a wonderful salad dressing. Mmmm – I’ll have to try the dill, DC – thanks for the suggestion! This dressing looks absolutely delicious! I’m going to try it with a chicken salad. Emily, please let me know how you like it! I love the idea of making this with homemade aioli for the GAPS diet! Pinning to make! Thanks, Megan, I hope you enjoy it!